Dr. Anodea Judith, PhD. is the founder and director of Sacred Centers, and a groundbreaking thinker, writer, and spiritual teacher. Her passion for the realization of untapped human potential matches her concern for humanity’s impending crises — her fervent wish is that we “wake up in time.” She holds Masters and Doctoral degrees in Psychology and Human Health, is a 500 hour registered yoga teacher, with lifelong studies of healing, mythology, history, sociology, systems theory, and mystic spirituality. 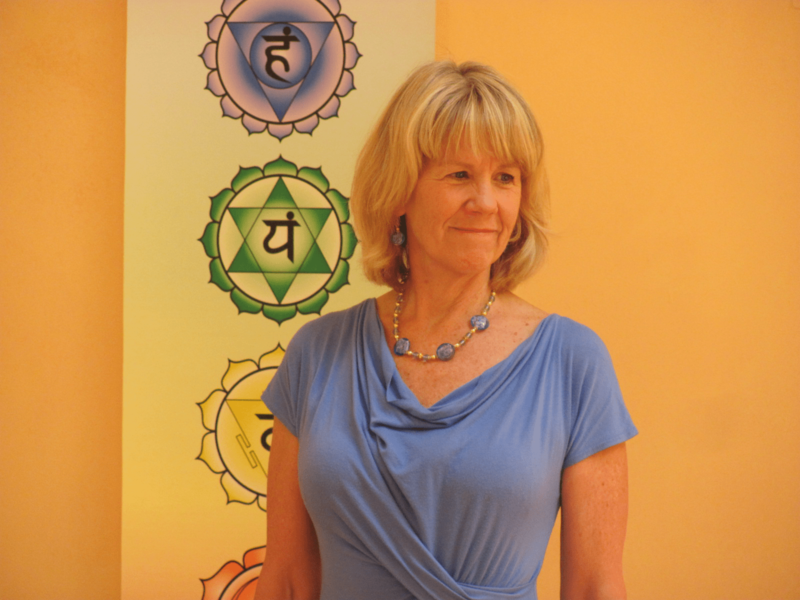 She is considered one of the country’s foremost experts on the combination of chakras and therapeutic issues and on the interpretation of the Chakra System for the Western lifestyle. She teaches across the U.S., Canada, Europe and Central America. She is best known for the chakra classic, Wheels of Life: A User’s Guide to the Chakra System, (Llewellyn, 1987, revised 1999), an illustrated 435 page manual that has come to be considered the definitive work on the subject. On the more personal level, Anodea Judith is a dynamic individual with many talents: teacher, healer, priestess, musician, artist, yogini, and co-heart. She is well-loved for her integration of mind, body, and spirit. She feels deeply concerned about the state of our world, in terms of ecology, ethics, politics, and religion. Feeling that individual and cultural transformation are intrinsically related, Anodea supports a path to empowerment and balance through teaching of life-affirming paths of wisdom. This is achieved through a reclamation of our bodies and minds, the environment, and our connection to both Heaven and Earth. She is a dynamic and experienced speaker, workshop presenter, and visionary, dedicated to healing our world and evolving human consciousness.